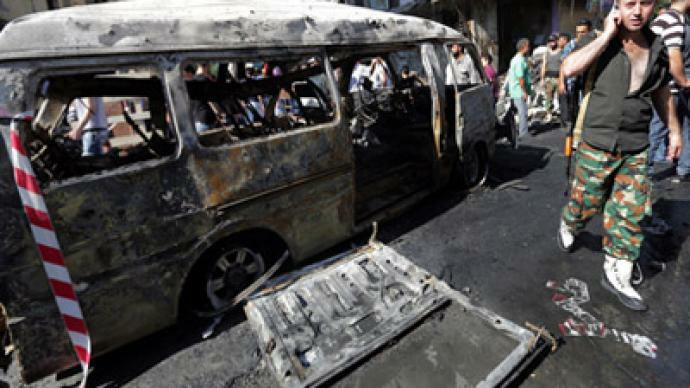 At least 12 people have been killed and another 48 injured as a car bomb detonated at a funeral procession in Jaramana, a suburb of Damascus. 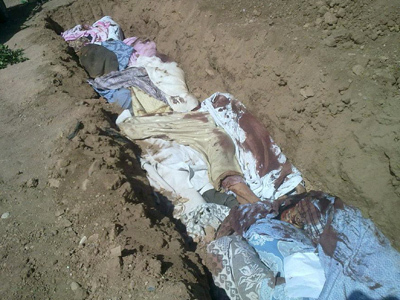 The men being buried are reported to have been supporters of the Bashar al-Assad government. ­"At around 3 pm (12:00 GMT), a funeral procession was making its way to the cemetery, when a car parked on the side of the road exploded, killing and inuring many people," AFP quotes an army official as saying. Many of those injured are in critical condition, state television reported. The attack at the entrance to a Druze cemetery in the Jaramana district in southeast Damascus is alleged to have targeted Assad supporters. Some buildings near the cemetery were severely damaged by the blast. The façade of one was completely destroyed, a photographer at the scene said. The windows of apartments several stories up were shattered. "During the funeral of two martyrs of ours who had been killed yesterday we were having our breakfast when a very huge explosion was heard, the whole building rocked. My brothers were injured when all the windows fell apart. We took them to the hospital – they were hit by shrapnel, and their injuries are moderate. Downstairs as well there were injuries; more than 20 people injured," AP quotes a witness whose name was not given as saying. 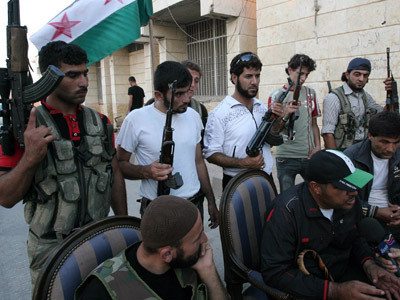 The attack, said to be the third bombing in Jaramana in 24 hours, comes amid escalating fighting between government forces and rebels in Damascus' eastern belt, home to some of the rebel Free Syrian Army’s best-organized battalions. 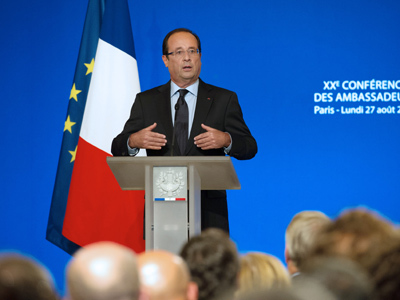 Political pressure is also rising, as on Monday French President Francois Hollande urged the Syrian opposition to form a provisional government, saying his country would recognize it as legitimate. On Tuesday, a group of Syrian opposition activists in Berlin announced that they had drafted a political roadmap for the country’s development in case Assad is ousted or steps down.